« Gong! What an awesome gift! What a great idea! 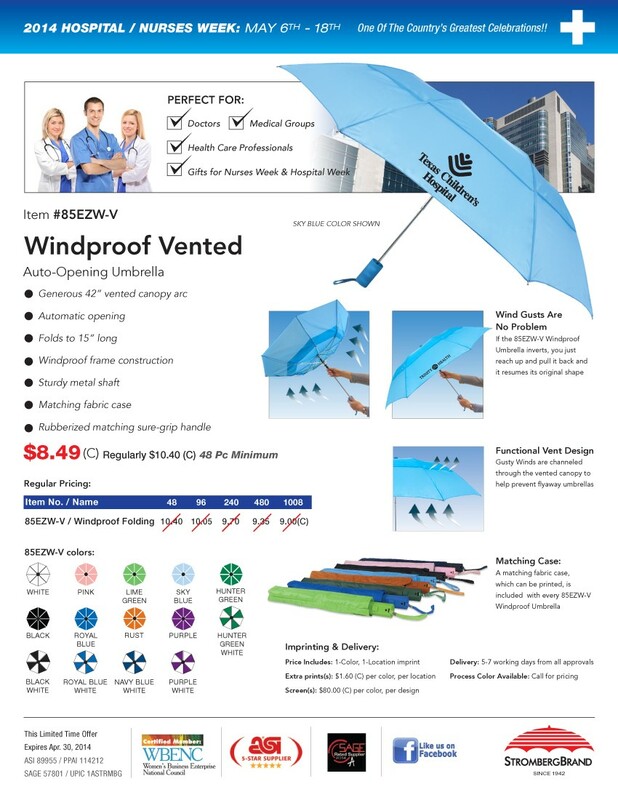 Windproof Vendet Umbrella on Sale! May 6 – 18th Nurses Week-Great Appreciation Gift! We are almost into April already and we all know that April showers bring May flowers. May also brings to mind Nurses Appreciation Week. Nurses Week is May 6th – 18th. Companies are always looking for great ways to show their appreciation and umbrellas are the perfect gift that will be used over and over again. Especially these Windproof Vented Umbrellas. On sale now for only $8.49. Now this is something we can all appreciate!